Hi guys, so this is just a quick little post to talk a little about the upcoming Camp NaNoWriMo, which is being held in April and July 2013. Basically NaNoWriMo takes place every November, it is for aspiring writers who just need to little kick to get started in writing. The goal of it is to write 50,000 words in 30 days. You start writing on the 1st of Nov and end on 30th Nov at 12:00 am. If you were able to reach the goal before the time ends then you are a winner, or else you are a sore loser, just kidding there are so many more years ahead of us. Now back to the camp. This year it is being held in April and July. It's kinda the same, only you get to choose you own word count from 10,000-999,999 words. There are no prizes involved in the camp but it is a great opportunity. You can choose you cabin buddies according to word counts goals, genres or just randomly. You can also download free camper badges, and but camp merchandise from the camp store online. 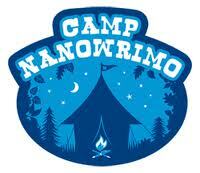 The camp also needs donations, because that's how it works and we get NaNoWriMo. This is my first year doing NaNoWriMo ever, I stumbled upon it when going through a Youtube vlog channel, Katytastic. I am looking forward to getting my ideas down on paper, and when going through many other vloggers on Youtube, I turned out to seem like a difficult task but at the end it is worth it. NaNoWriMo isn't just for fun, you might even get published. So many writers today who have their books published once used NaNoWriMo to get to where they are today, ex. Stephanie Perkins the author of the very famous and wonderful book Anna and the french kiss. 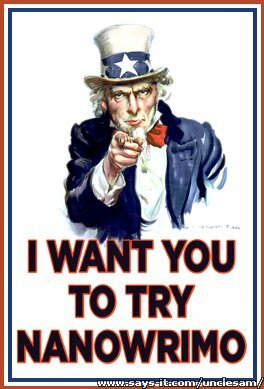 So if you are interested in writing, making the fiction and thoughts in your mind come out on paper, but need motivation Camp NaNoWriMo is the perfect thing for you.